From our "Never Say Never" Department comes news that an 82-year-old woman is celebrating a book deal for her debut novel. Teacher, theatre director, and grandmother Myrrha Stanford-Smith, who lives in Holyhead, north Wales, said she was "gobsmacked" to be handed the three-book agreement, which saw her first work The Great Lie appearing in bookshops last week. Stanford-Smith, a trained actor, has always had a passion for creative writing. After receiving positive feedback on a short children's story she sent in to BBC Radio Wales last summer, she secured a deal with publisher Honno for a trilogy based around her swashbuckling Elizabethan hero, Nick Talbot. The adventure reignites, in fictional form, the rivalry between William Shakespeare and Christopher Marlowe. The book's 16-year-old Nick, the son of the late first Earl of Rokesby, runs away with a troupe of traveling players who take him to London where he soon comes to Marlowe's attention. Stanford-Smith said of the deal, "I was gobsmacked. I had to put the phone down and ring them back as I was so taken aback by the whole thing. I had to pull myself together before I could even pick up the phone to call back. "It was out of the blue. I'd been waiting for the manuscript to be sent back, really, rejected. It was such a wonderful surprise." Born in Brighton and trained at the Guildhall School of Music and Drama before working with theatre director and impresario Sir Tyrone Guthrie in the West End, the author later moved into teaching and directing. "It was so lovely to have the book in my hand with embossed cover," she said. "I read it again just for pleasure – to have my book, my words, in my hand as my very own book, it was wonderful. It's on the bookshelves now next to my favourite authors in pride of place with a gap for the next two in the trilogy." After retiring to Anglesey in the 1990s, Stanford-Smith realized a life-long dream by founding Ucheldre Repertory Company. She still works with the company as both a director and teacher and is currently directing a production of Richard III for production this autumn. Daniel Goldin of Milwaukee's Boswell Book Company has some thoughts about books that literally sell themselves. People find many of these books just naturally attractive. Sometimes, they don't know why; othertimes, they know exactly the reason. 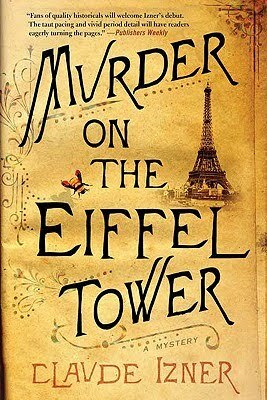 "Put a pile of Murder on the Eiffel Tower," he said, "on your paperback table and it will sell. It worked for us in hardcover at Schwartz and in paperback at Boswell. "We've sold 71 in the last year (for folks in the know, that makes us #1 on Above the Treeline, almost double what the #2 bookstore sold) despite the fact that if they ask, [we] will tell inquirers that the murder does not take place on the Eiffel Tower. The book did win a prestigious French mystery prize (the Michel Lebrun prize) and the hero is a bookseller, which is reason enough to make sure we have enough stock." Boswell also got the notion to try placing The Power of Kindness from Garrison Keillor's Common Good Books on their front table, and it recently passed the hundred-copy sales mark, which is good by any bookstore's standards. The reason? "Great title, great package, and the book delivers--what more do you want?" Goldin said. "A concerted effort could get this book on national bestseller lists. Tarcher, the ball is in your court." Yet another book Goldin thinks is a big-sales sleeper is Chicks Dig Time Lords: A Celebration of Dr. Who by the Women Who Love It. "Our purchase started with a special order from our pal Kathy, who suggested an event. Our local contact...rounded up three editors and contributors from metro Chicago, and another from the Twin Cities area. Our event was way bigger than we expected, and we ordered in more stock to cover the bookplates we gave out when we ran out of books." What's the common denominator? What sets these books apart from lesser selling tomes at first glance? No one knows for sure. But they all have damned interesting titles. Don't they? A "restrained, sparely written" debut novel by a Dutch author and part-time gardener has beaten Marilynne Robinson's Orange prize-winning Home and Joseph O'Neill's Booker-longlisted Netherland to win the world's richest prize for a single literary work, the International Impac Dublin literary award. Gerbrand Bakker's The Twin, in which protagonist Helmer is forced to return to his family's small farm in the bleak Dutch countryside after his twin brother dies in a car accident, was named winner of the €100,000 Impac prize in Dublin recently. The award is unique in that public libraries around the world nominate titles they think should win. The Twin was proposed by libraries in Amsterdam, The Hague, Utrecht, and Eindhoven, after which an international judging panel selected the winner, this year from a shortlist of eight. In Dublin to receive his prize, Bakker said he "had to lie down for a while" after hearing that he'd won the award. "It's wonderful," he said. "But for me it was also wonderful to read the book in English. I said to David [Colmer] the translator: 'Who wrote this book?' I didn't recognize it, I thought it was very good. It made me realize it really is a book, and I am a writer." The award money will be divided between Bakker and Colmer. 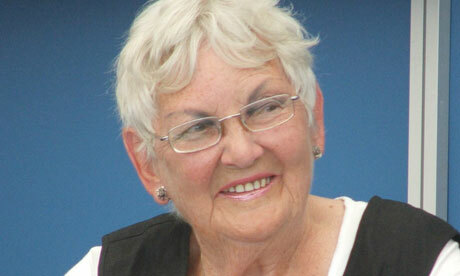 Acclaimed English author Anne Fine sat on this year's judging panel, which commented that the book "convinces from first page to last. "Though rich in detail, it's a sparely written story, with the narrator's odd small cruelties, laconic humor, and surprising tendernesses emerging through a steady, well-paced, unaffected style," said the judges. "With quiet mastery the story draws in the reader. The writing is wonderful: restrained and clear, and studded with detail of farm rhythms in the cold, damp Dutch countryside." The Twin is the third debut novel in a row to win the Impac, following Michael Thomas's Man Gone Down last year, and Rawi Hage's De Niro's Game in 2008. The idea for the book came to Bakker on a holiday in Corsica in 2002. Hiking through the mountains, he had the idea of a son "who was going to do something terrible to his father." Bakker became a licensed gardener in 2006 and also works during the winter as a skating instructor, but says that these days he makes enough money to be a full-time writer, although he doubts that he'll ever give up gardening. "In the autumn when I rake the dead leaves I can do it for hours – once I even disturbed a pile I'd made so I could go on raking. The sound is so wonderful: it lets you think in a subconscious way, in the back of your mind." 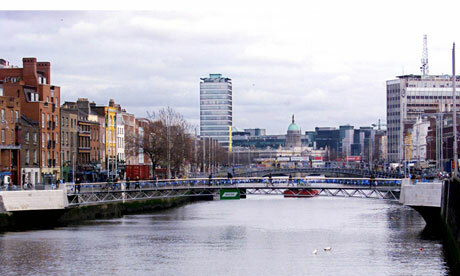 The International Impac Dublin literary award is organized by Dublin city libraries, and is open to novels written in any language, provided they have been published in English. This year 156 titles from 43 countries were put forward by 163 public libraries. NEW YORK--(BUSINESS WIRE)--Barnes & Noble, Inc., the world’s largest bookseller, is giving book lovers "more choice and greater value in dedicated eBook Reading devices with the addition of NOOK Wi-Fi to the NOOK by Barnes & Noble family for just $149, and a new lower price for its award-winning NOOK 3G at $199." The new NOOK Wi-Fi offers all the features of NOOK 3G – a color touch screen for navigation and best-in-class E-Ink® display for a great reading experience – plus Wi-Fi connectivity. NOOK Wi-Fi is available online at www.nook.com and www.bestbuy.com. NOOK Wi-Fi eBook Reader marries innovative technology and sleek minimalist design with Wi-Fi connectivity. This latest addition to the NOOK family gives customers the opportunity to take advantage of the proliferation of both in-home and public Wi-Fi hotspots, where they can browse the Web and shop the Barnes & Noble eBookstore of more than one million eBooks, periodicals and other digital content. With its latest software update for all NOOK devices (now available at www.nook.com/update), Barnes & Noble is offering all NOOK customers complimentary access to AT&T’s entire nationwide Wi-Fi network, including Barnes & Noble book stores which have previously been available to NOOK customers. * Enriched eReading: Enjoy an immersive reading experience with color book covers to browse in your library or while shopping, fast page turns, multiple font choices and sizes and more. * Dual displays: A fun, easy-to-use reading experience on the familiar paper-like 6” E-Ink display which offers great contrast with no backlight or glare even in bright sunlight, and 3.5” LCD lower color touchscreen for navigation. * Vast catalog of content: Shop the Barnes & Noble eBookstore for everything from classics to current bestsellers and download your content wirelessly in seconds. There are more than one million eBooks, magazines and newspapers available and free eBook samples. * Lend to friends: Share a wide range of eBooks with friends for 14 days using exclusive LendMe™ technology. * In-store experience: Access fast and free Wi-Fi connectivity in Barnes & Noble stores and enjoy the beta Read In Store feature to browse many complete eBooks for free, and the More In Store program, which offers free, exclusive content and special promotions. * Games, music and Web: Play Chess or Sudoku, listen to your favorite songs or browse the Web to check news and email. * Light and portable library: About the size and weight of a paperback, the 2GB device carries approximately 1,500 eBooks and offers virtually endless shelf space with expandable memory. * Your B&N personal library: With Barnes & Noble’s Lifetime Library™, Barnes & Noble digital purchases will be accessible on BN.com and can be enjoyed on the widest variety of devices. Your eBook library goes wherever you go, giving instant access to your existing Barnes & Noble digital library on your NOOK device, partners’ third-party eBook readers and hundreds of computing and mobile devices enabled with free BN eReader software including iPad™, iPhone®, iPod touch®, BlackBerry®, HTC HD2™, PC and Mac®. * Read for days: Long battery life means you won’t need to worry about recharging. With Wi-Fi turned off, enjoy reading for up to 10 days on a single battery charge. * Personalize with style: Customize NOOK Wi-Fi with one of the many stylish designer accessories available for all NOOK devices. Customers can choose from a range of classic and colorful accessories designed exclusively for NOOK devices by renowned designers kate spade new york, Jack Spade, Jonathan Adler, Tahari and others. NOOK Wi-Fi is now available for purchase online at www.nook.com for $149 and will begin shipping this week. A bookseller at a Barnes & Noble store can also help customers place an order. NOOK Wi-Fi can also be ordered at www.bestbuy.com. Barnes & Noble expects NOOK Wi-Fi will be in-stock in select Barnes & Noble and Best Buy stores for immediate purchase later this month and rolling out to all stores later this summer. The latest NOOK software also offers a Go To Page feature, one of the most frequent enhancements requested by NOOK users, which allows customers to jump to a specific page number in an open eBook, an extra extra large font, and performance enhancements to open eBooks even faster. From our "There's Hope for Me as a Writer Yet" department, an article in Entertainment Weekly tells why it is that we keep beating our heads against the wall we call "publishing." Now Rudin and director David Fincher (Fight Club, Zodiac) are in pre-production on the first of three major films for Sony Pictures, which means one of the biggest literary phenomenons in history is only going to get bigger. 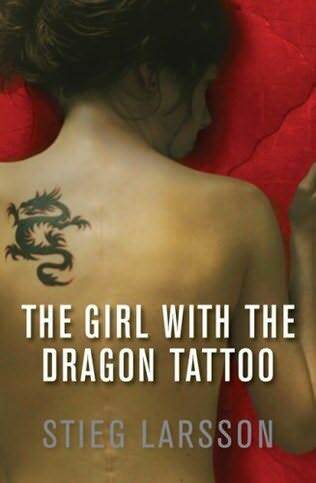 Dragon Tattoo and its sequels, The Girl Who Played With Fire and The Girl Who Kicked the Hornet’s Nest (collectively known as the Millennium Trilogy), have sold 40 million copies worldwide. More than 7.2 million copies are in print in the U.S. alone, and the books have spent a combined 10 weeks topping the New York Times best-seller lists. While Larsson’s survivors are entangled in a wicked estate dispute, his readers are buzzing about a more pressing question: Who should play computer hacker Lisbeth Salander and the crusading investigative journalist Mikael Blomkvist in the Fincher movies? Speculation says Brad Pitt and Daniel Craig are being considered as candidates for Blomkvist, and actresses as wildly divergent as Kristen Stewart, Natalie Portman, Scarlett Johansson, and Carey Mulligan are being bantered about for Lisbeth. 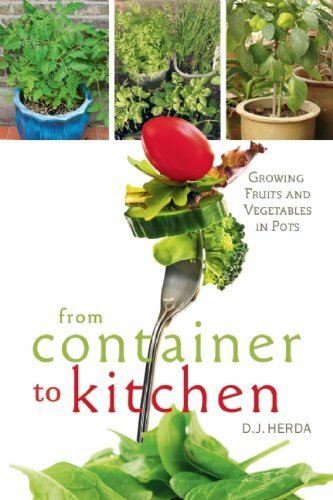 Here's a new mini-review from ForeWord Reviews of D. J. Herda's latest creation, From Container to Kitchen: Growing Fruits and Vegetables in Pots. Cooking. FROM CONTAINER TO KITCHEN: GROWING FRUITS AND VEGETABLES IN POTS by D. J. Herda (New Society Publishers, 240 pages, softcover, $19.95, 978-0-86571-665-0): This book is designed for those residing in urban areas who wish to reap the benefits of organic, home gardening – without the convenience of a personal yard for cultivation. To help readers maximize growth and efficiency, Herda instructs regarding pot size and placement, soil type, light and water exposure, and harvesting. Those who wish to lead an organic lifestyle could expect to save seventy percent on fresh produce if they grow their own crops. Conversely, Herda also provides advice to those with a garden space in more rural locations who may also see merits to growing plants in containers. A publishing industry veteran has launched a new trade association designed to help professional writers and authors interested in finding and landing more ghostwriting assignments. The new Association of Ghostwriters (www.associationofghostwriters.org), founded by veteran ghostwriter and bestselling author Marcia Layton Turner (www.marcialaytonturner.com), taps into the rising demand for ghostwriting services across a wide spectrum of industries. “Publishing experts estimate that as many as 50 percent of all New York Times bestsellers are ghostwritten today, but there’s also great demand for ghostwriters for other types of books and in businesses of all sizes,” says Turner, who also publishes the “Become a Six-Figure Writer” newsletter to help writers earn more money. - Executives, coaches, consultants and national speakers want the credibility of a book to boost their business, but lack writing skills or time. - More and more companies of all sizes are out-sourcing their social networking. - Financial pressures in the traditional book publishing industry require that manuscripts arrive in near-publication-ready condition, something a content expert without writing experience can’t always deliver. - Entrepreneurs discovering that sharing their knowledge online through blogs and articles helps showcase their expertise are seeking help from professional writers. - The growth in self-publishing presents opportunities for subject experts to share their knowledge with a wider audience – if they can present it in a well-written book. The Association of Ghostwriters helps members tap into this expanding market for their services. Member benefits include monthly teleseminars on topics related to marketing, project management, outsourcing, and time management; a monthly newsletter; a private members-only forum; ghostwriting job postings; and a member directory. The charter membership fee is $69 a year for a limited time. For more information, visit www.associationofghostwriters.org. Or contact Marcia Layton Turner, executive director, Association of Ghostwriters, marcia (at) associationofghostwriters (dot) org, 585-586-8660. As an alternative, check out AmSAW's "Writer for Hire" service for Professional Members at Writer for Hire, where, for $60 a year, members receive free promotion of their talents plus access to the daily TRULY Freelance Jobs Board, featuring only the best real freelance jobs (including ghostwriting gigs) currently available. In a look at the growing digital self-publishing market, sure to be accelerated by Amazon's new 70 percent royalty for self-published e-books that meet certain conditions, WSJ offers its thoughts. Amazon CEO Jeff Bezos says his company "wants to be a partner, not a threat, to publishers. 'I think the real risk is that there are a multitude of publishers. Some of them are really forward leaning, and are really going after this new e-book area,' he says. 'If you are not one of those publishers, then I would be worried.'" Seth Godin sees the overall market splintering into two tiers of offerings: "branded/high-quality" and "cheap/good enough." Sourcebooks CEO Dominique Raccahagrees, adding "there is some truth to the idea that low prices will drag down our prices." Self-publishing advocates like to celebrate the small number of successes--Karen McQuestion says she has sold 36,000 ebooks (priced at under two dollars) through Amazon (she is now an Amazon Encore author). But at least this WSJ story also notes that "most self-published authors don't have popular followings and see modest sales," citing a more typical author who has sold fewer than 400 print books and 100 ebooks. Some publishing people are rankled by the Journal's six or seven-step comparison of what's involved in traditional publishing versus self-publishing. Raccah places that number closer to 26 steps.